View the entire table of contents for the March 31, 2003 issue. The charity wine auction market, which in recent years had demonstrated great resilience in the face of economic downturn, discovered in 2002 that even it is not impervious to the nationwide belt-tightening. 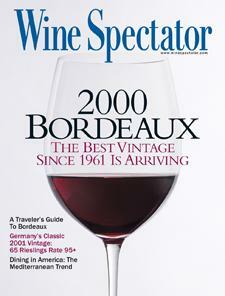 For the full article, check out the new issue of Wine Spectator, on newsstands March 31, 2003.